Simon Pidcock, who has been watching whales for the past 17 years, says he's never seen anything like what he witnessed last Sunday off B.C.’s Sunshine Coast. Simon Pidcock has been watching whales for the past 17 years. In all that time, he's never seen anything like what he witnessed last Sunday off B.C. 's Sunshine Coast. "[It] was one of those amazing days that we all live for," said Pidcock, owner of Cowichan Bay-based Ocean Eco Ventures. 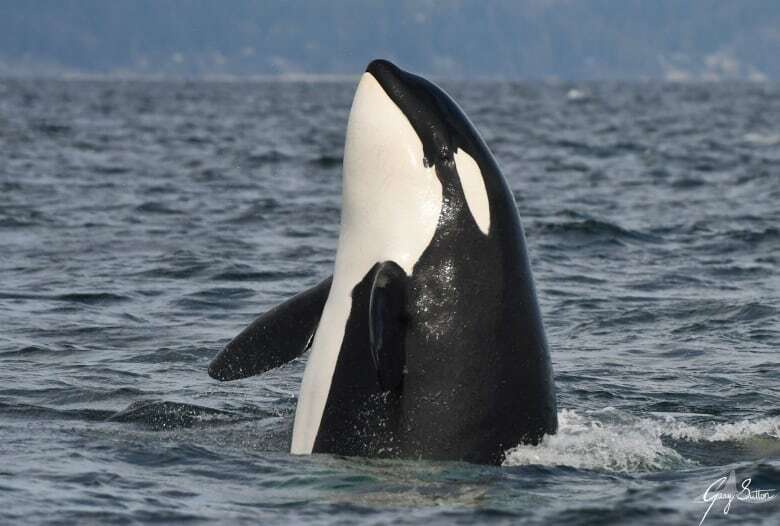 An estimated 41 Bigg's killer whales were socializing together in the Salish Sea, right in front of Pidock's boat. Bigg's killer whales — also know as transients — are the mammal-eating cousin to the southern resident killer whales, which only feed on fish. 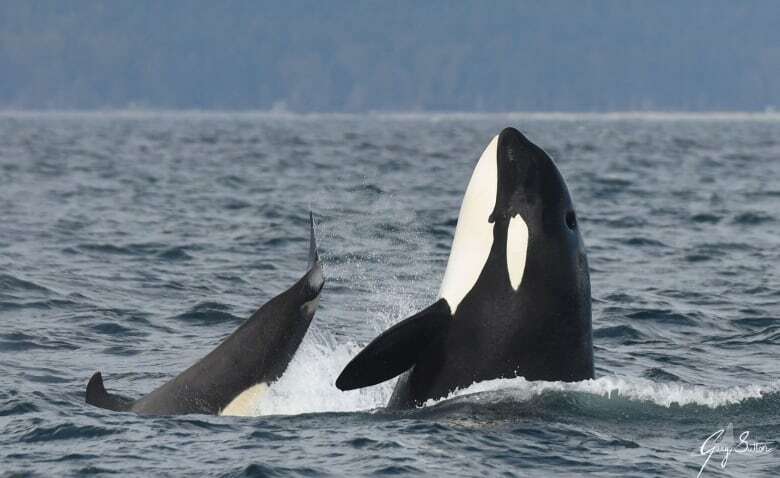 There are reportedly around 400 Bigg's killer whales currently in our waters, according to the Georgia Strait Alliance. 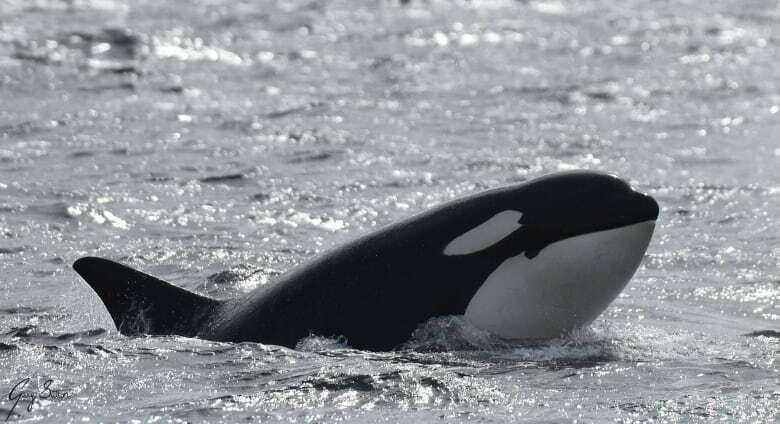 Pidcock says Bigg's killer whales have been thriving in recent years, with more than 70 documented new births. He says on Sunday he even spotted three "brand new little calves" splashing about. "We always love it when we have encounters like that," Pidcock said. Pidcock says it's a good-news story, despite the stark contrast to the population of B.C. 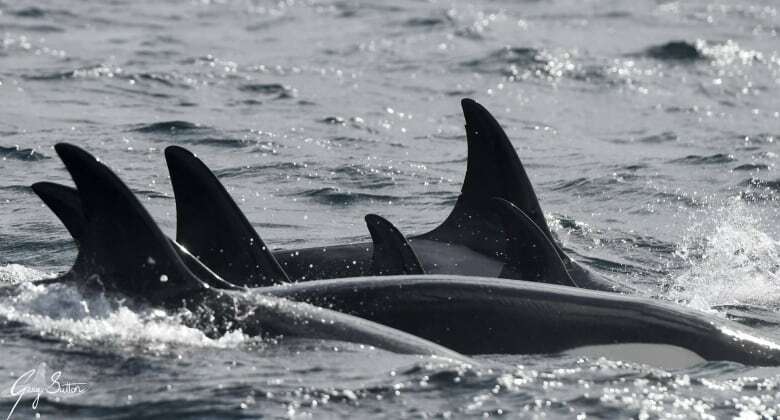 's southern resident killer whales, which stands at just 74. 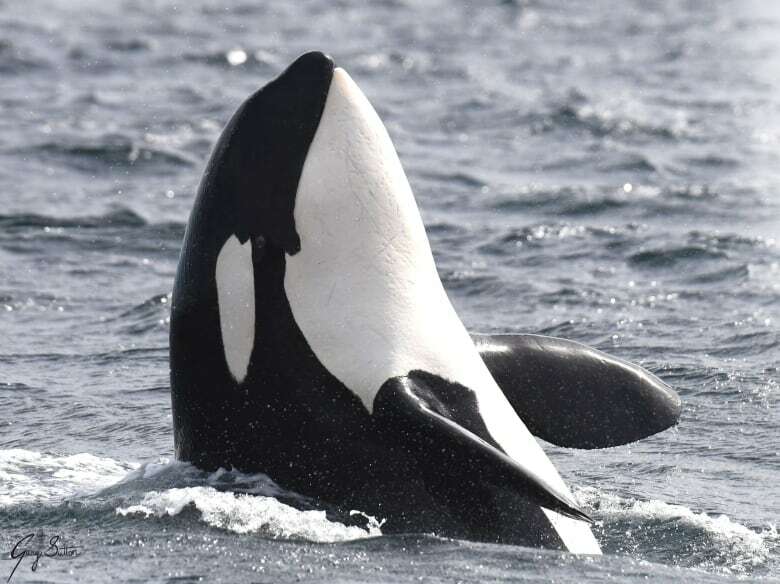 He says 12 years ago, he'd rarely see any Bigg's killer whales in the Salish Sea. Killer whales eat dolphins. So why are these dolphins tempting fate? 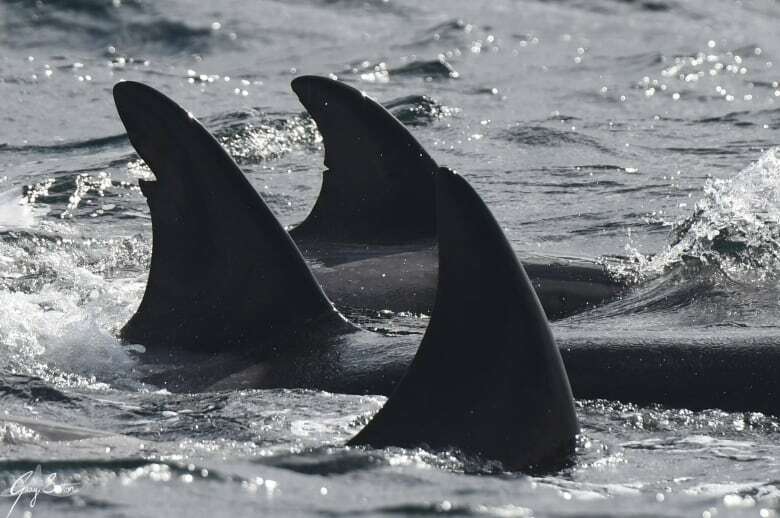 "Ninety per cent of my time would have been spent with southern residents and about 10 per cent with the Bigg's killer whales," said Pidcock. "We've actually done a full 180-degree switch." He says this has to do with changing feeding patterns. Southern residents are now spending more time on the western coast of Vancouver Island, where salmon is more abundant, while Bigg's killer whales have been able to find plenty of food in the Salish Sea, especially pinnipeds like seals and sea lions. 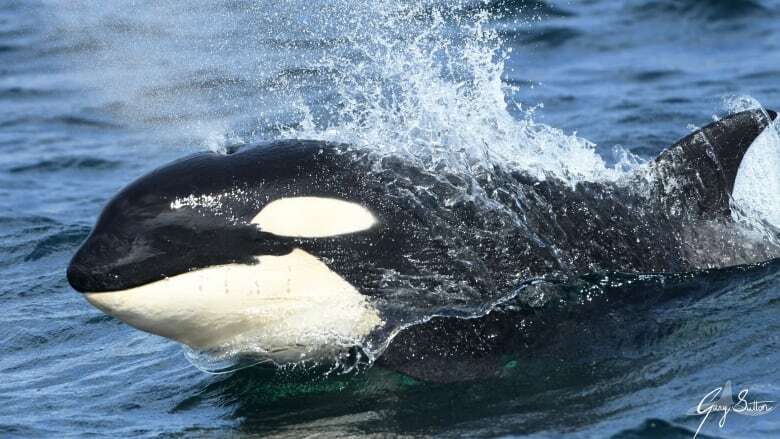 "The Salish Sea has one of the largest populations of pinnipeds in the world and it's basically a big smorgasbord for [the killer whales]," said Pidcock. "So, they're healthy. They're robust." As for the endangered southern residents, their population size is currently at a 30-year low after three deaths in 2018. Earlier this year, scientists predicted two more of them who are currently in poor physical condition will probably be dead by summer. Yet, Pidcock is hopeful that nature — and man — will give the southern residents a fighting chance for survival. "We're cautiously optimistic that we could see a change for the southern residents in that their numbers come back," he said.